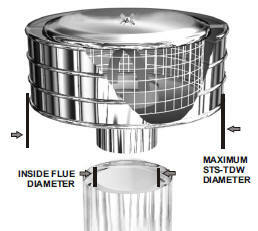 $192.95 - STS-6-TDW-S5... 6 inch Air Cooled Storm Shield chimney cap with 1/2 inch spark arrestor mesh. Shipping Included. $196.95 - STS-8-TDW-S5... 8 inch Air Cooled Storm Shield chimney cap with 1/2 inch spark arrestor mesh. Shipping Included. 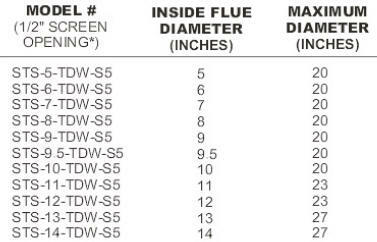 Above are options to fit the most common air cooled flue pipe sizes. 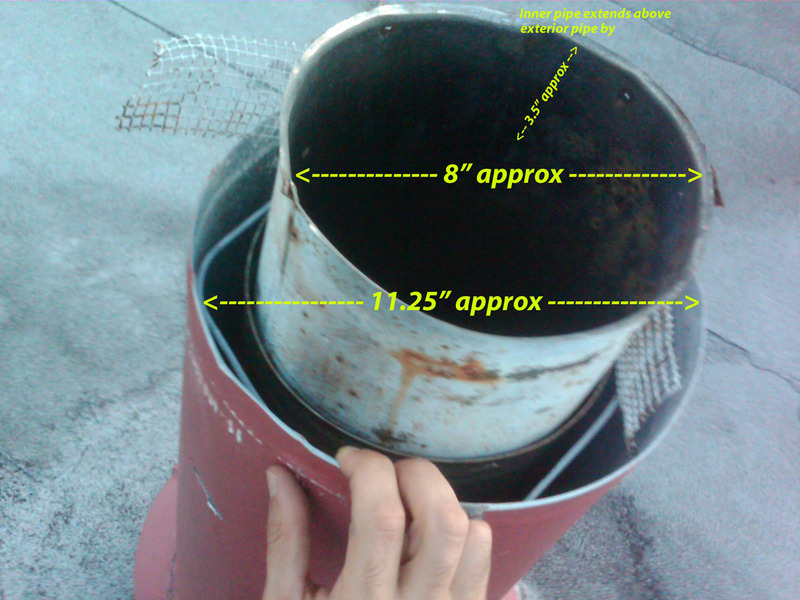 Air cooled flue pipe needs to be measured by its INSIDE measurement. 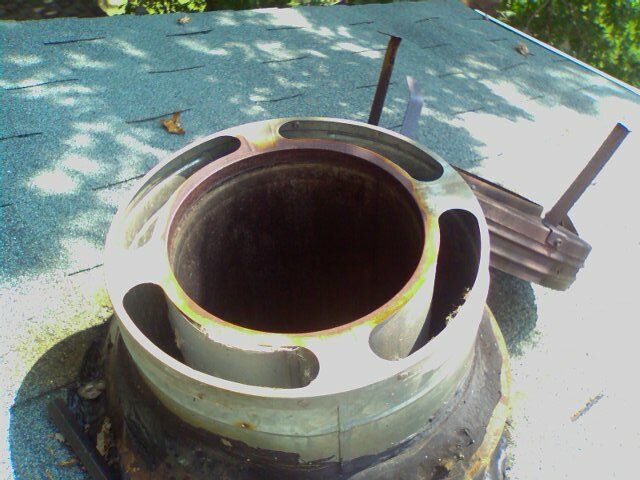 Typically... an air cooled flue system will consist of an inner and outer pipe(s) with an air space between them. Some systems may have braces, wire, tabs or smaller openings between the layer(s) of pipe. The distinguishing factor for this system is that the spacing channels from the top where the chimney cap would go all the way to the start of the flue system. Note: All layers of pipe need to be at the same level for proper installation. Most pipe can be trimmed or extended to accomplish this.